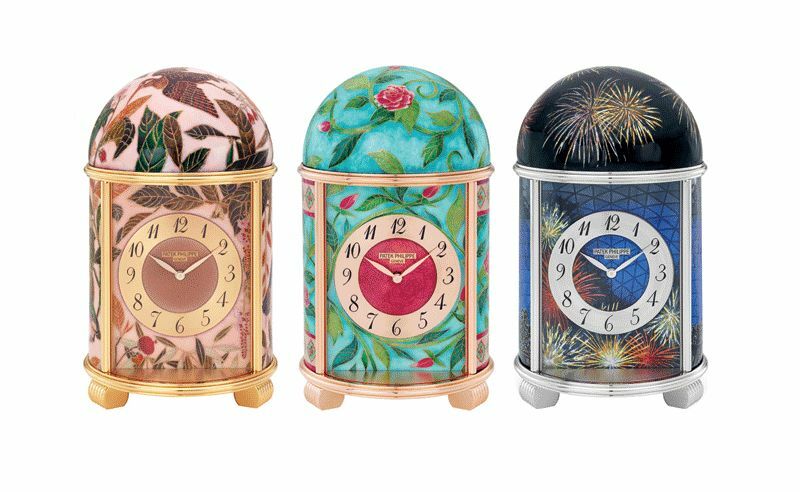 The 3 clocks -- a tribute to Singapore's 50th anniversary of independence -- are handcrafted based on 3 facades of the country’s history and heritage. In conjunction with Singapore celebrating 50 years of independence last August, Patek Philippe – whose brand motto that emphasises familial ties has always resounded with the values of Singapore – paid tribute to the country and its historic moment with 3 commemorative rare handcrafted creations that are unlike any the world has ever seen. The tribute encompassed 3 dome table clocks inspired by 3 different facades of the Republic nation. As such, the 3 clocks are as rare as they are beautiful, seeing the country’s history and heritage immortalised in a rare and ancient art form. The unique pieces will each be auctioned with full proceeds going to 3 different charity bodies related to the promotion and preservation of arts and culture in Singapore. Before they go under hammer, we take a look at each one and discover what makes them so exceptional. Made of cloisonné enamel, this clock was the first amongst the 3 that was presented at Baselworld 2015 for a rare public preview. It pays tribute to the Peranakans of Singapore with traditional motifs from their vibrantly coloured art that to this day can be seen in their architectural elements, like the tiles and windows of their homes. More than 28m of gold wire went into creating the roses and geometric figures on this piece. The cells are then painstakingly coloured in with multiple layers of transparent, opaque and opalescent enamels in 14 different colours. Full proceeds from the auction of this 'Peranakan Culture' dome table clock will be donated to The Peranakan Museum. This unique piece is inspired by the celebrated Farquhar collection, a treasure trove of 477 watercolours depicting plants and animals of Malacca and Singapore produced between 1819 to 1823 by Chinese artists at the request of William Farquhar, governer of Singapore at the time. Tracing the outlines took 32.5m of gold wire while enamels of transparent, opaque and opalescent nature of 78 different colours filled it in. Full proceeds from the auction of this 'Farquhar Collection' dome table clock will be donated to The National Museum of Singapore. This piece presents the famous panoramic views of modern day Singapore, boasting the familiar sights of the river and distinctive architecture of the theatre. The building’s geometric patterns in the sky are delicately hand-guilloched with silver. The skyline and its towers are crafted with 6.25m of gold wire and some 20 enamel colours went into the colouring process. The realistic glow of fireworks, the glitter of the cityscape and the sparkle of light on water are achieved with inclusions of silver leaves, slipped beneath the translucent enamel. Full proceeds from the auction of this 'The Esplanade - Singapore' dome table clock will be donated to seed the 'Heritage Cares' programme for beneficiaries of Singapore Comchest to enjoy programs offered at the museums. A fan of out-of-the-ordinary watches and clocks? Check out this collection of bold timepieces for the daring enthusiast.